Accomodation Type: Hotel, Camp and Lodge. On arrival at Johannesburg airport, meet your representative, who will assist you with Private Transfer (driver only) from Johannesburg airport to hotel. This Package includes 3* Garden Court Sandton City Hotel with daily breakfast included. The Hotel offers free WIFI and is very well located within walking distance from Sandton City Shopping Centre, one of Johannesburg's best shopping Malls. Upgrades to Four and Five Star accommodations available. Overnight in Johannesburg. This morning you will be collected from your hotel, heading east via Machadodorp to spectacular Mpumalanga. 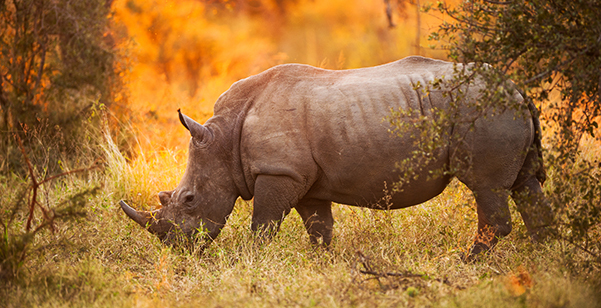 Enter the world famous Kruger National Park, the second largest in South Africa and one of the largest reserves in the world. 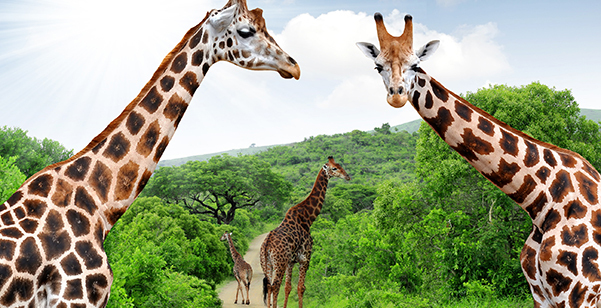 It is home to 517 different species of birds and 147 different species of large animals including the African wild dog, of which there are only 400 in all of South Africa. 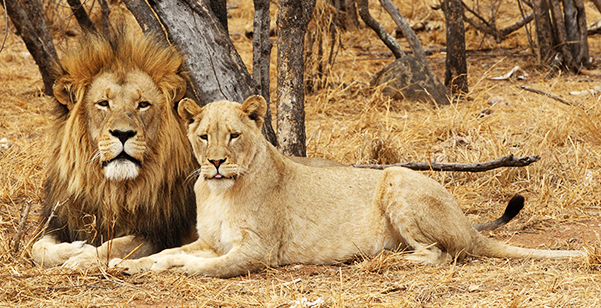 Spend the afternoon searching for The Big Five, the five most popular animals that include the African Elephant, the Cape Buffalo, the leopard, the Rhinoceros and of course the Lion. Dinner and overnight at Pretoriuskop Rest Camp, a 3+ Lodge surrounded by beautiful sloping hills and scenery. This rest camp is the oldest inside the park with beautiful exotic plants and nearby nature trails to walk along. Upgrades and other Lodge selections available. Today Dinner and breakfast are included. Enjoy an early breakfast and continue on a full day Open air vehicle Safari. 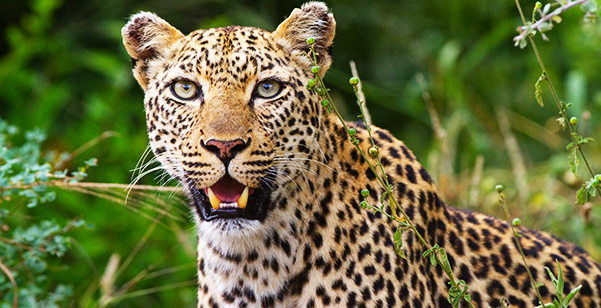 Kruger Park has the largest concentration of mammals species than any other Game Reserve in Africa, it covers 19,000 square Kilometers, during your Safari you also have the opportunity to see numerous reptiles, and different species of fish and amphibians. With the assistance of your Guide stop at one of the rest camps for lunch. Return to Pretoriuskop Camp for dinner and overnight. Today Breakfast and Dinner are included. Enjoy breakfast after which you'll start the return journey to Johannesburg via the Small Town of Sabie, well known for its many waterfalls, beautiful scenery and breath-taking nature trails. Many visitors come to Sabie to mountain bike through the pine forests. After that see the famous Mountain Link of Long Tom Pass. 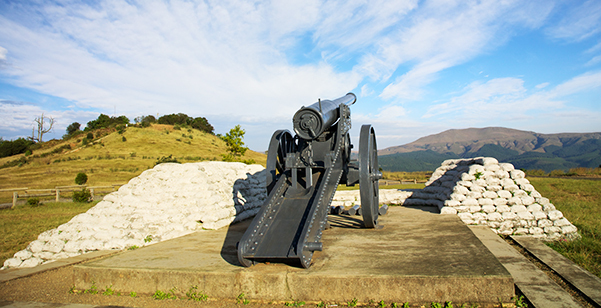 The Long Tom Pass was named for the old British war cannon located at the top of the pass. Nicknamed the Long Tom, the cannon was carried through the pass and to the top and was used in the South African War. There are two view sites along the way where travelers can stop and take in the spectacular views of the Sabie Valley. Lunch stop en route. Arrive in Johannesburg in the early evening, your Guide will transfer you to Johannesburg Airport for your flight to Cape Town where you will spend the next four nights. Upon arrival in Cape Town transfer to your Hotel. Included in this Package is 4* Breakwater Lodge located in the heart of the V & A waterfront, with spectacular views of the bay and on to Table Mountain. The Hotel is also near all the main routes to the beaches, and mountain walks. Overnight in Cape Town. Breakfast included. Spend the day at your own leisure. Take advantage of the Hotel's great location and Explore the surroundings. The V & A Waterfront is situated in the heart of Cape Town's working harbour with the dramatic backdrop of the mountain, the Waterfront has great shopping, exciting nightspots, a massive aquarium boat trips and hosts shows in the amphitheatre. Breakfast included. Overnight in Cape Town. Spend the day at your own leisure. 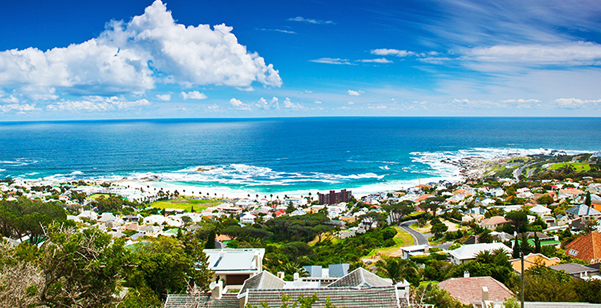 Continue exploring South Africa's most cosmopolitan City, full of beautiful landscapes with one of the most spectacular coastlines in the World. Perhaps add to your tour one of our great optional tours. Today breakfast is included. Overnight in Cape Town. 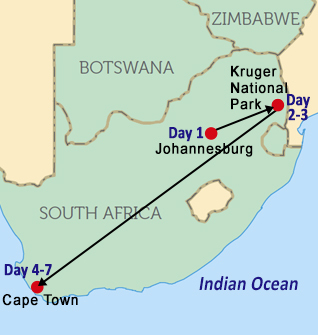 Full day Cape Peninsula Tour: Drive along the Atlantic Coast, with views of the Twelve Apostles part of the Table Mountain Range, see the union of the Atlantic and Indian Oceans visit the fishing Village of Hout Bay, Cape Point Nature Reserve, and the National Botanical Gardens. 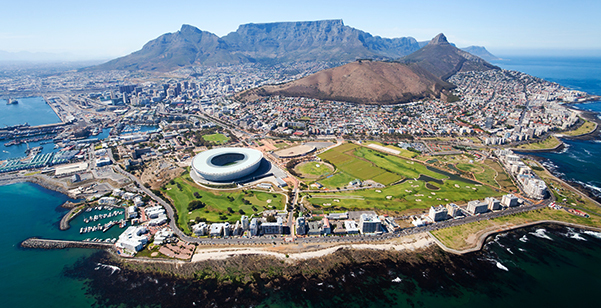 Half day City and Table Mountain Tour: Visit the City's most famous landmarks like Castle of Good Hope, City Hall, St. George's Cathedral (Archbishop Desmond Tutu's Diocese), continue with an ascending ride by revolving cable car and marvel at the beautiful views of the magnificent Table Mountain. Full day Wine Land Tour: Explore South Africa's fertile Valleys and their World Famous Wineries. 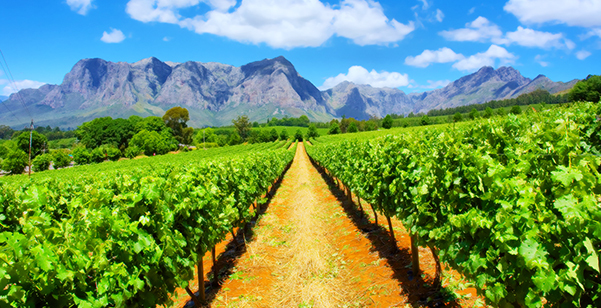 Your tour includes the Country's principal wine routes of Paarl, Stellenbosch and Franschoek. Spend your last day at your own leisure, maybe a good opportunity to take one of the very unique tours that Cape Town has to offer, like Shark Cage Diving. Overnight in Cape Town breakfast included. Full day Great White Shark Cage Diving: Visit the World's best place for Great White shark cage diving, located between the Islands of Geyser Rock and Dyer Island is a narrow and shallow channel known as Shark Alley. No diving experience necessary cages are only meters below the surface of the water. 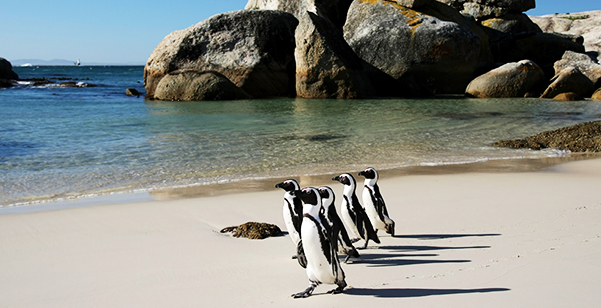 Big Five Marine Safari: Board a Catamaran Vessel in search of South Africa's most famous marine animals: the common Dolphin, Cape Fur Seal, African Penguin (at Boulder's Beach), Great White Shark and the Southern Right Whale. You will also view some historical sites on the way. Tours is five hours long. Surfing Adventure: Visit one of Cape Town's best surfing locations: Big Bay on the West Coast, non experienced and beginners surfers welcome. Robben Island Excursion: Visit the Island where Nelson Mandela was imprisoned. After breakfast transfer (driver only) from hotel to Cape Town Airport for your flight home. Platinumholidays.com specializes in cheap Africa Tours and affordable Africa Holidays. 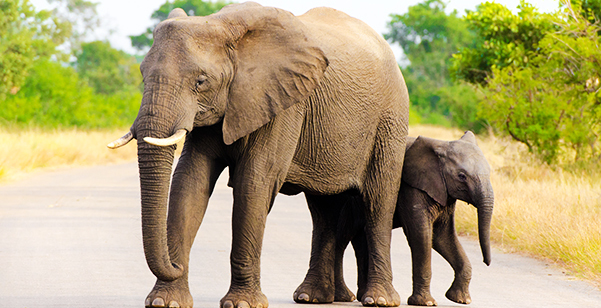 We offer packages with tours to Victoria Falls, Hwange National Park, Lake Kariba. We have great deals to Africa. Any type of tours to Africa we have it. All our tours can be customized to meet your needs and they have connecting flights available from major cities in Canada. Plus our tours have Private Expert Guides and air conditioned vehicles.